A church has stood at Prospect for over 200 years. 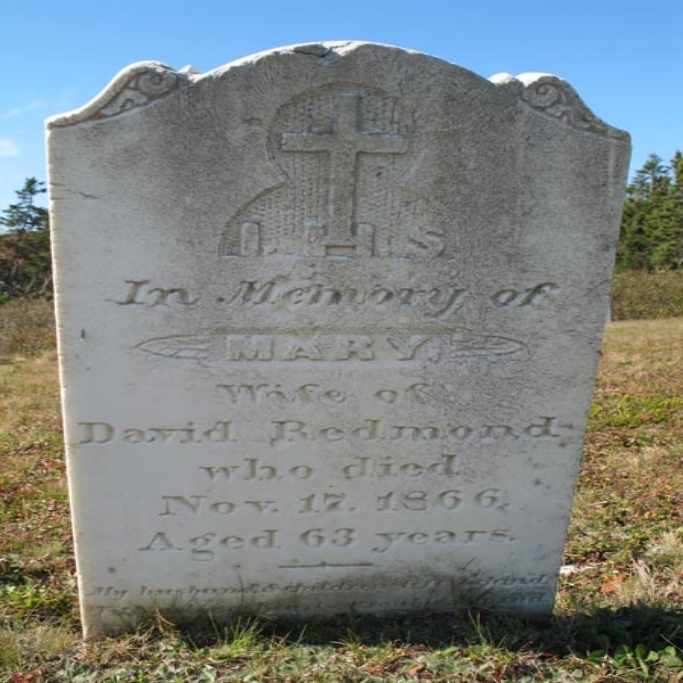 In 1794 three catholic priests stood at Prospect, Nova Scotia surveying the surrounding area and decided that this location would be the best spot for the first Catholic church outside of Halifax serving the fishing communities along the coast of Nova Scotia. The erection of the first church at Prospect, in that year, was the source of great joy and consolation to those faithful souls who had come from Ireland and settled in a village that would play such an important role in the life of the Church and in the realm of the history of Nova Scotia. (In part taken from Fourteen Decades in Prospect, 1794-1929). Now that the church has been de-consecrated and the building for sale, the history of the religious community that existed at Prospect is of even more importance than before. The permanent cemeteries located at Prospect sit a top the hill over looking the village. However, the community has used a number of sites through the years to bury their dead. The "Old" Cemetery - founded in the 1860s and closed in the late 1930s. The first 30 years of records for Prospect have been lost to time. However, starting in 1823 we have a continuous record of the life events of the parishes residents. The original priests took on the task of building a religious community. Subsequent priests added to that or maintained what was built. Other priests, especially most recently, were sent by the Archdiocese to close down the church and consolidate services elsewhere. 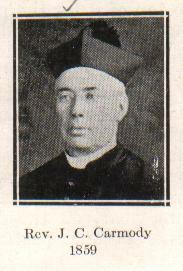 The following is a listing of all priests who served at Prospect from 1794 to 2010. The Sister of Charity opened a convent (shown to the left) at Prospect in 1876 and were a fixture in the community as teachers for over forty years. They opened a second mission in the village in the late 1920s and would stay till the local school was closed in 1958. The last Sister retired as a teacher in the 1970s. 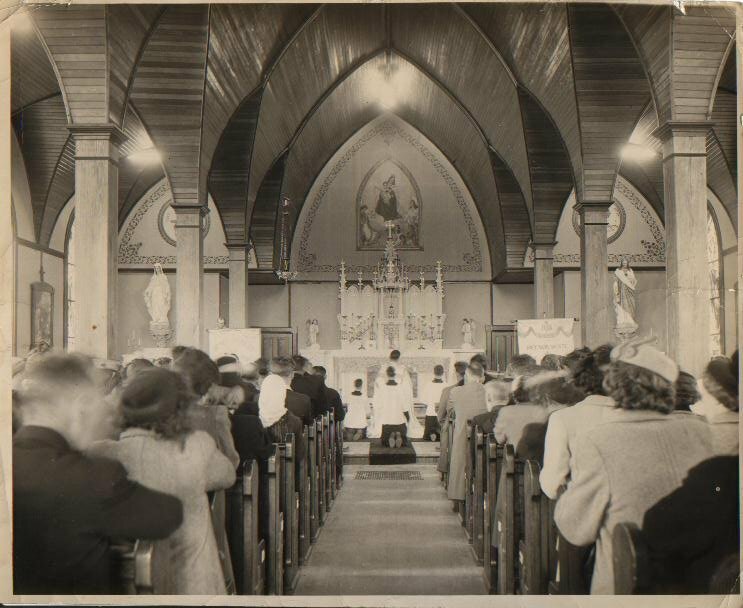 In July 1994 the parish of Our Lady of Mount Carmel celebrated its 200th anniversary at the church in Prospect. After the fire in October 1921 that destroyed the second church building fundraising efforts allowed for a new church to be built. One of the contributions from former residents of the village was a new bell.